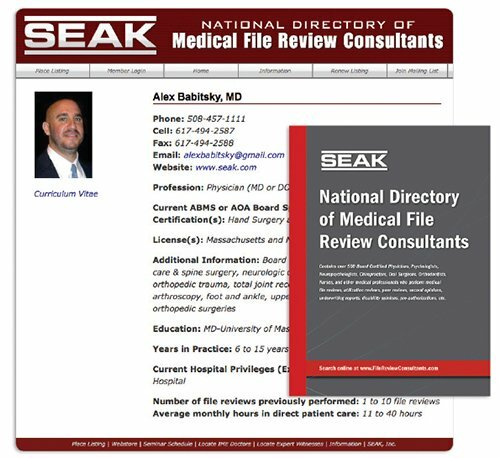 Physician Resources - SEAK, Inc.
SEAK is proud to support the financial and lifestyle well-being of physicians. Our focus is on teaching physicians how to supplement their clinical income through lucrative home-based work, educating physicians about the numerous non-clinical career options available to them, helping physicians become better negotiators, and assisting physicians who have been sued for malpractice to prepare for their deposition and trial. Explore dozens of alternative careers for physicians. Earn $500+/hr. working from home. Fiction, Non-Fiction, Screenwriting, Freelance, Traditional & Self Publishing. Earn $1500+ per examination and report. Work from home performing disability and utilization reviews. Lucrative expert witnessing niche for physicians. Get paid to educate, coach and solve problems. Turn problems you encounter into lucrative opportunities. Preparation/training for your deposition or trial testimony. Negotiation training especially for physicians. 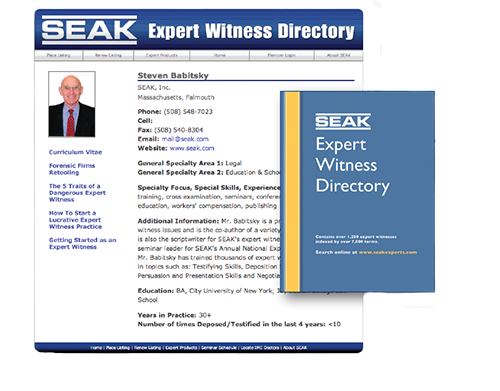 The #1 rated expert witness directory – guaranteed referrals. 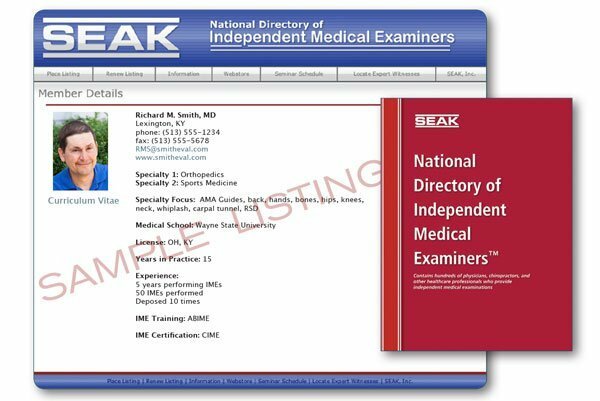 Guaranteed independent medical examination (IME) referrals since 1998. Guaranteed disability and file review referrals since 2010.